Home » 1. FC Magdeburg , 3. 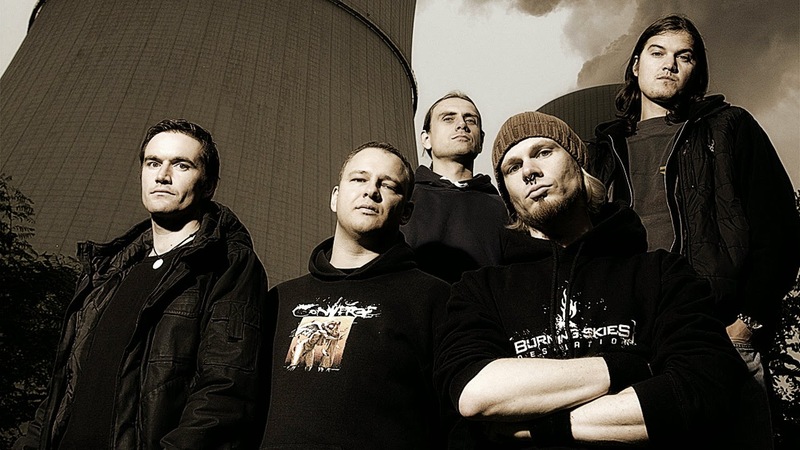 Liga , FC Carl Zeiss Jena , Germany , Music , Regionalliga Nordost » FC Carl Zeiss Jena: Heaven Shall Burn! FC Carl Zeiss Jena, who ply their trade in the Regionalliga Nordost, which is the fourth tier of the German football league system, might just be taking to the pitch this weekend in the most Heavy Metal kit ever. Playing in all black for their last match of the season against 1. 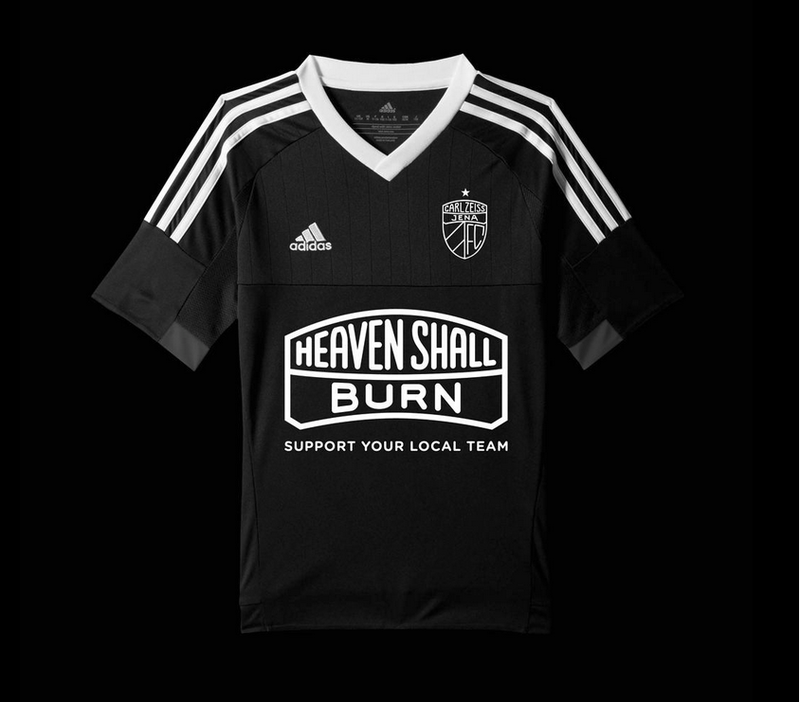 FC Magdeburg, FC Carl Zeiss Jena have signed a one off sponsorship deal with German rockers Heaven Shall Burn and will feature the band's name across the front of their kit. The band hail from FC Carl Zeiss Jena's hometown of Jena, in the Free State of Thuringia, which is located in the central region of Germany and are in part doing this to promote their latest album, "Veto". “We are concerned primarily about the message: “Support your local team”. “Any fan who supports the club on his doorstep deserves our respect. “We are not about showing the big middle finger. The point is not to forget the little guys and their meaning to their respective city, region and society. “We are Jena fans and now we have the chance to return as musicians who, to some extent, are surprised by our own success. “And we do it gladly and call on you to do likewise: Support, whether as a fan or sponsor, the club in front of your door. This is important. " While FC Carl Zeiss Jena are currently sitting in fourth position in the table heading into this final match of the season, 1. FC Magdeburg are currently in first on goal difference and a favourable result against their Heavy Metal shirt wearing opponents could see them promoted to 3. Liga.